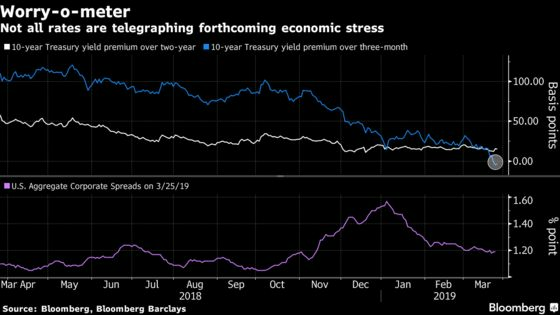 (Bloomberg) -- Goldman Sachs Group Inc. added its voice to those advising against panic over the inversion of the U.S. yield curve, which has served as a recession warning in the past. 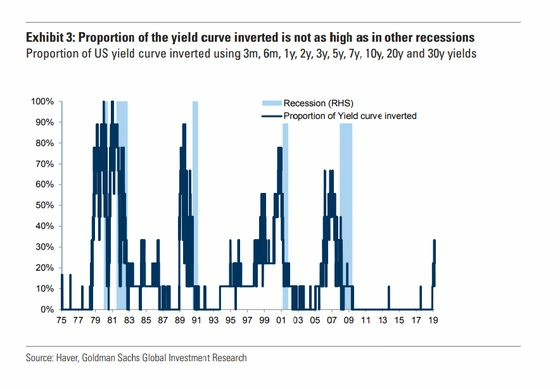 At Morgan Stanley, strategist Matthew Hornbach thinks the three-month-10-year inversion would need to continue at least until the June Federal Reserve policy meeting before policy makers get “uncomfortable. If it continues beyond that, the Fed may begin to contemplate actions necessary to keep the party going."